He made me laugh so hard in Futurama when he said "Greetings! I am *rolls his dice and checks the result* pleased to meet you!" As a player of D&D for almost 20 years now, I mourn this day. I don't play much anymore myself as I really have no friends here for that but I started ~ 20 years ago as well. 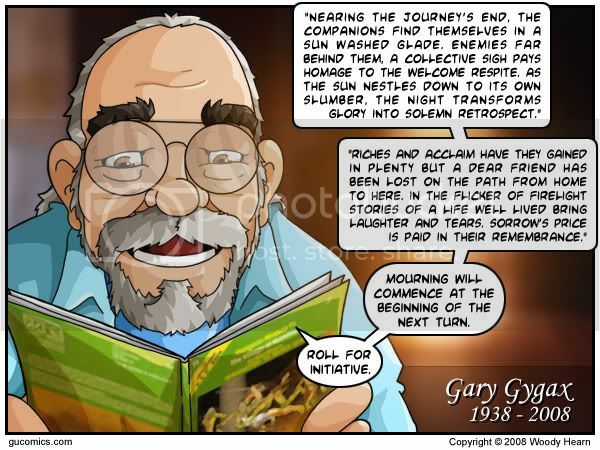 I was introduced to Gary Gygax briefly almost 20 years ago at a game con in L.A. I can't say the meeting made a huge impression on me, but there's no doubt that his work did. And not just me, he changed the world. 8 million people playing WoW is just part of his legacy. Just something to think about. 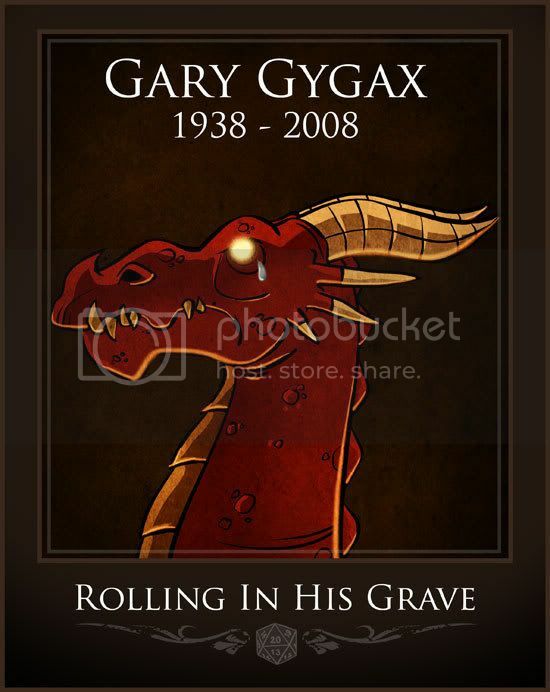 The fact of Gygax's work greatly influenced my life. Much of the artwork created to illustrate his work(s) has been a part of molding who I am (or at least wish to be) as an artist. rolling a 3 on a 4 sided die will forever more be the "April 20th" for gamers.